The child born that night was of royal blood, and was destined to become not only the king of Hawaiʻi, but the conqueror and sovereign of the group. The exact year of his birth is not known; different historians/writers place the year of his birth from about 1736 to 1759. Word went out to find and kill the baby, but the Kohala community conspired to save him. In 1790 (at the same time that George Washington was serving as the US’s first president,) the island of Hawaiʻi was under multiple rule; Kamehameha (ruler of Kohala, Kona and Hāmākua regions) successfully invaded Maui, Lānaʻi and Molokaʻi. After completing the heiau in 1791, Kamehameha invited Keōua to come to Kawaihae to make peace. However, as Keōua was about to step ashore, he was attacked and killed by one of Kamehameha’s chiefs. 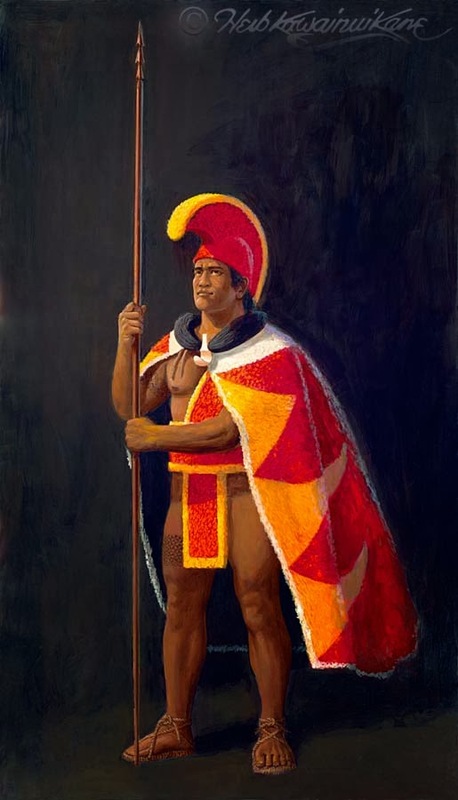 With Keōua dead, and his supporters captured or slain, Kamehameha became King of Hawaiʻi island, an event that according to prophesy eventually led to the conquest and consolidation of the islands under the rule of Kamehameha I. 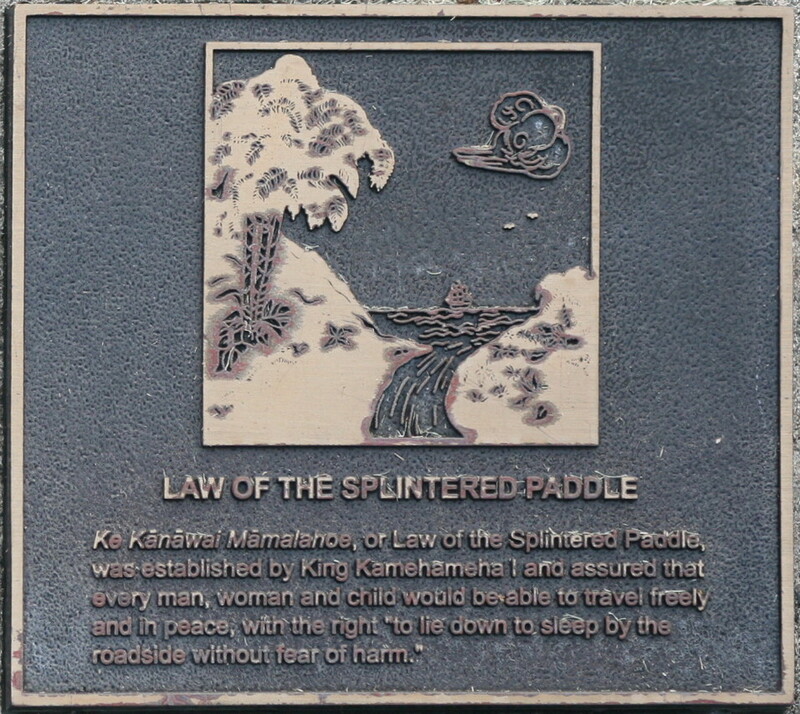 It was in Hilo that Kamehameha established his greatest law, the Kānāwai Māmalahoe (Law of the Splintered Paddle). (ROOK) Kamehameha’s Law of the Splintered Paddle of 1797 is enshrined in the State constitution, Article 9, Section 10: “Let every elderly person, woman and child lie by the roadside in safety”. It has become a model for modern human rights law regarding the treatment of civilians and other non-combatants. Kānāwai Māmalahoe appears as a symbol of crossed paddles in the center of the badge of the Honolulu Police Department. The image shows Kamehameha as a young warrior (HerbKane.) In addition, I have added other related images in a folder of like name in the Photos section on my Facebook and Google+ pages.